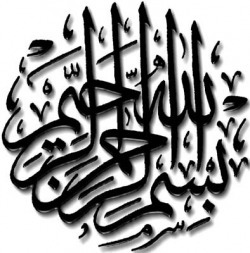 Welcome to this specialist Website which has been created on Friday 5 March 2010 and which gives you the chance to receive valuable Islamic electronic resources free of charge. More than 5000 copies of the soft copy of the entire Holy Quran have been sent out by email by me in the last few years [please see the 'Requests' section of one of my other Websites http://allah-azawajal.weebly.com to see actual requests that I have received in the past] and I have received hundreds of thanks. As well as the Holy Quran, I have distributed Durood Duas, Wedding and Marriage Booklet, Azaf-e-Rizq Dua, Islamic Calendar, Dua Booklet and Hajj Booklet. Now you too can receive the Holy Quran and these other titles by following the instructions of this Website; attachments are guaranteed virus-free because they are checked before being emailed directly to your inbox. Please also tell your friends and relatives of this opportunity too and I look forward to receiving your requests. DR UMAR AZAM'S WEBSITES. PLEASE CLICK ON EACH ROW TO REACH A DIFFERENT WEBSITE.